CRUZE J300 1.4 DA 2013. CRUZE J300 1.6 DA 2009. CRUZE J300 1.7D DA 2012. CRUZE J300 1.8 DA 2009. CRUZE J300 2.0 CDI DA 2009. TUBO INTERCOOLER. TUBO DI GOMMA. Il tubo è nuovo realizzato la migliore qualità di materiale rinforzato con fibra di KEVLAR. Intercooler CHEVROLET CRUZE (J300) 2.0 CDI 110kw 1991cc dal 2009. FRANCIA: CORSICA (20000-20999). 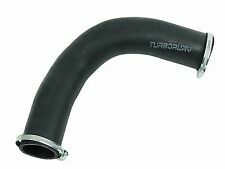 TUBO TURBO D’ARIA MANICOTTO INTERCOOLER OPEL ASTRA J 1.7 CDTI 860230 13327298. TUBO INTERCOOLER. TUBO DI GOMMA. Il tubo è nuovo realizzato la migliore qualità di materiale rinforzato con fibra di KEVLAR. 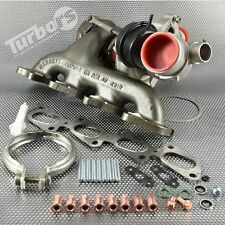 Turbocompressore Turbo GARRETT Chevrolet / Daewoo / Hyundai / Cruze. - Daewoo Cruis. Produttore Motore: Daewoo. - Chevrolet Cruize. - Hyundai Santa Fe. Codice turbo: 771903-3. CHEVROLET CRUZE. 1.4 1.6 TURBO PETROL. VAUXHALL OPEL ASTRA IV J. 1.3 1.7 CDTI TURBO DIESEL. 1302144 13267646Make sure your OE number is consistent with one of these numbers. are physically in our warehouse located in the UK. CHEVROLET CRUZE 2.0 CDI TD 2009 - 110/150 120/163 Z20D1. CHEVROLET ORLANDO 2.0 D 2011 - 96/130 120/163 Z20D1. but by talking to one of our expert staff we can often resolve a complaint faster. Is the wrong one item. CHEVROLET CRUZE. 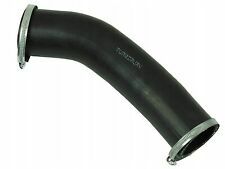 TURBO COOLANT PIPE. GENUINE NEW. ISLE of MAN / WIGHT. ALL ZE CODES. PH4 - 41, 49 - 50. PA20 - 38, 41 - 49, 60 - 78. IV1 - 28, 30 - 32, 36 - 48, 51 - 56, 63. 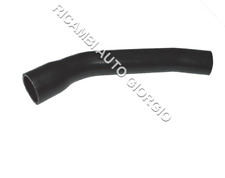 1.7 DIESEL ANNO 2010 IN POI 6 MARCE SIGLA MOTORE A17DTS. CAMBIO MARCE CHEVROLET CRUZE. Opening hours All turbines are professionally balanced by professional quality staff on the best quality electronic dynamic balancers. FAST TURBO LTD is located in the heart of Northamptonshire with easy access to both the A14 and A43 or a 50 minute drive from Birmingham. CHEVROLET CRUZE J300 2.0D Intercooler 2009 on NRF. CHEVROLET CRUZE (J300) 1.7 D Saloon Diesel 01/2012 on FWD 16 131 96. CHEVROLET CRUZE (J300) 1.7 TD Saloon Diesel 11/2013 on FWD 16 110 81. CHEVROLET CRUZE (J300) 2.0 CDI Saloon Diesel 08/2010 on FWD 16 163 120. Referencia recambio original (OE//OEM) 13267647. Zu dem Verkaufspreis erheben wir eine Kaution von. für Sie aufgelistet haben. ´´Monat und Jahr der Erstzulassung´´. Verwendet in Fahrzeugen. Wir helfen Ihnen gerne weiter! CHEVROLET CAPTIVA (C100) 2.0 VCDI 2WD 150 cv. CHEVROLET CAPTIVA (C100) 2.0 VCDI 16V 2WD 150. Berlina di CHEVROLET CRUZE 2.0 VCDi 16V 150. Berlina di CHEVROLET CRUZE 2.0 VCDi 16V 125. Marchio di veicolo : CHEVROLET, OPEL, VAUXHALL. Turbolader GEBRAUCHT für Chevrolet Cruze 2.0 CDI. 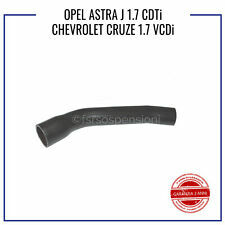 CHEVROLET CRUZE (J300) 2.0 CDI 05.09 110 150 1991 8260-ABV. CHEVROLET CRUZE (J300) 2.0 CDI 05.09 92 125 1991 8260-ABX. Kompetenter Service von Tornau Motoren. CHEVROLET CRUZE (J300) A 2010-08-01 DIESEL LNP, Z 20 D1 2 163. CHEVROLET ORLANDO (J309) A 2011-02-01 DIESEL Z 20 D1 2 163. CHEVROLET ORLANDO (J309) A 2011-02-01 DIESEL Z 20 D1 2 131. CODES MOTEURS COMPATIBLES Z20D1, LNP, Z20D1. Turbolader - Reparatur. Elektronik - Reparatur. KBA: 8265ADS, 8265ADT. Turbolader - Generalüberholt. Turbolader - Neu. KBA: 8265ACQ. (nur innerhalb DE). - Attraktive Preise und Turbolader in Erstausrüsterqualität. 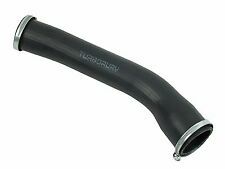 INTERCOOLER CHEVROLET CRUZE 1.4i TURBO - OE: 1302144 / 13267646 - NUEVO!! 13021443 - 13267646 -. INTERCOOLER CHEVROLET CRUZE (Año 2009-) - Artículo nuevo. 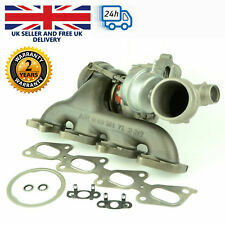 1.4i TURBO -. BEHR: 8ML376777361. AVA COOLING: OL4548. Manufacturer Part Number 55569127. Huffines Chevrolet – a conduzione familiare dal 1924! Non c'è nessun bisogno di indovinare se la parte si adatta, o per chiamare un concessionario che può o non può darvi l'indicazione corretta – noi siamo la fonte, e noi siamo qui per aiutarti! Turbolader - Reparatur. Elektronik - Reparatur. Turbolader - Generalüberholt. Turbolader - Neu. Generalüberholter Turbolader für Ihren. Der Einbau des Turboladers in einer Fachwerkstatt ist nicht erforderlich. INTERCOOLER CHEVROLET CRUZE 2.0 CDI - OE: 1302133 / 13267647 - NUEVO!! INTERCOOLER CHEVROLET CRUZE - Artículo nuevo. GARANTÍA DE FÁBRICA. BEHR: 8ML376777281. AVA COOLING: OL4550. 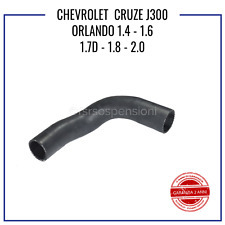 Be-/Entlüftungsventil, Kraftstoffbehälter, Ventil Chevrolet Cruze, Orlando J300 J305 J308 J309 1.6 1.8. Be-/Entlüftungsventil,Kraftstoffbehälter CHEVROLET OE 55574240 300297200. Cruze Station Wagon·J308 (Bj. ). Manufacturer Part Number 96832200. Donor Vehicle-CHEVROLET CRUZE 2.0 VCDI 16V 2009 RHD. Anno - 2009. I nostri consulenti possono essere raggiunte a Skype. Ci sono diversi modi per contattarci. INTERCOOLER CHEVROLET CRUZE 1.4 TURBO - OE: 1302148 / 13267647 - NUEVO!! INTERCOOLER CHEVROLET CRUZE (Año 2009-) - Artículo nuevo. 1.4 TURBO -. GARANTÍA DE FÁBRICA. NRF: 30270. AVA COOLING: OL4549. Manufacturer numbers: 860156, 55565353. THE KIT INCLUDES GASKET FOR Opening hours All turbines are professionally balanced by professional quality staff on the best quality electronic dynamic balancers. CHEVROLET Orlando 1.4 Ecotec. Pochette de Joint : Gasket Kit. 321Turbo Spécialiste de la performance TURBO. RÉFÉRENCES COMPATIBLES PAR FAMILLE TURBO. A propos de nous. Et au choix - nous remplaçons la pièce ou remboursons sa valeur. Modèle des turbos concernés : GT14 GT1446Z MGT1446MZGL. Références des turbos concernées : 781504. Véhicules compatibles : Chevrolet : Cruze. Les pièces détachées pour les turbos sont souvent complexe à identifier et à trouver. Pochette de Joint : Gasket Kit. CHEVROLET Cruze 1.4 Turbo. 321Turbo Spécialiste de la performance TURBO. RÉFÉRENCES COMPATIBLES PAR FAMILLE TURBO. A propos de nous. Et au choix - nous remplaçons la pièce ou remboursons sa valeur. POWER: 129HP, 130HP. Opening hours All turbines are professionally balanced by professional quality staff on the best quality electronic dynamic balancers. FAST TURBO LTD is located in the heart of Northamptonshire with easy access to both the A14 and A43 or a 50 minute drive from Birmingham. CHEVROLET CRUZE Station Wagon (J308) A 2013-11-01 DIESEL A 17 DTE 1.7 110. CHEVROLET CRUZE (J300) A 2013-11-01 DIESEL A 17 DTE 1.7 110. CHEVROLET CRUZE (J300) A 2012-01-01 DIESEL LUD 1.7 131. CHEVROLET CRUZE Hatchback (J305) A 2013-08-01 DIESEL A 17 DTE 1.7 110. Eigener Werkstatt. Dichtungssatz /. Fachbetrieb für. Turbotechnik mit. Turbolader - NEU. Unser Service beginnt schon vor dem Kauf! DPF Diesel-. Top Qualität. 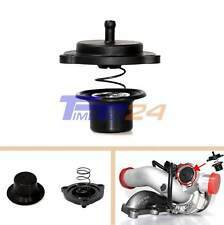 Turbolader Turbo Chevrolet Cruze E-55565353 2012-2015 CHEVROLET CRUZE WIELOZADANIOWY 1362 cm3 Benzin 1.4 16V 140KM. der Identifikation der Fahrzeuge und -oder Fahrzeugtypen. Alle Angaben ohne Gewähr. Z20S1 Z20DMH. Typ Cruze J300 Antara. Tipo Cruze J300 Antara. Type Cruze J300 Antara. Fahrzeug Chevrolet Opel. Veicolo Chevrolet Opel. Véhicule Chevrolet Opel. Vehicle Chevrolet Opel. Manufacturer Part Number 55587528. Huffines Chevrolet – a conduzione familiare dal 1924! Non c'è nessun bisogno di indovinare se la parte si adatta, o per chiamare un concessionario che può o non può darvi l'indicazione corretta – noi siamo la fonte, e noi siamo qui per aiutarti!